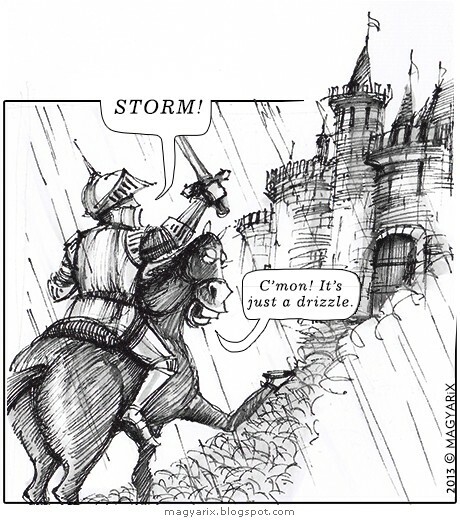 They don't like storms in that castle..It made me wonder what it must sound like when it rains in a suit of armour. Oh man, this is MacGregor humor all the way with the interesting word play. That horse has a very expressive hoof. funny.